WASHINGTON — In D.C’s crowded restaurant scene, chefs are constantly seeking out new trends and techniques to set themselves apart from the rest. But when Jake Addeo needs to freshen up his menu, he looks to the past for inspiration. In his office at Occidental Grill on Pennsylvania Avenue NW, just one block from the White House, is a framed menu from the restaurant that dates back to the 1950s. 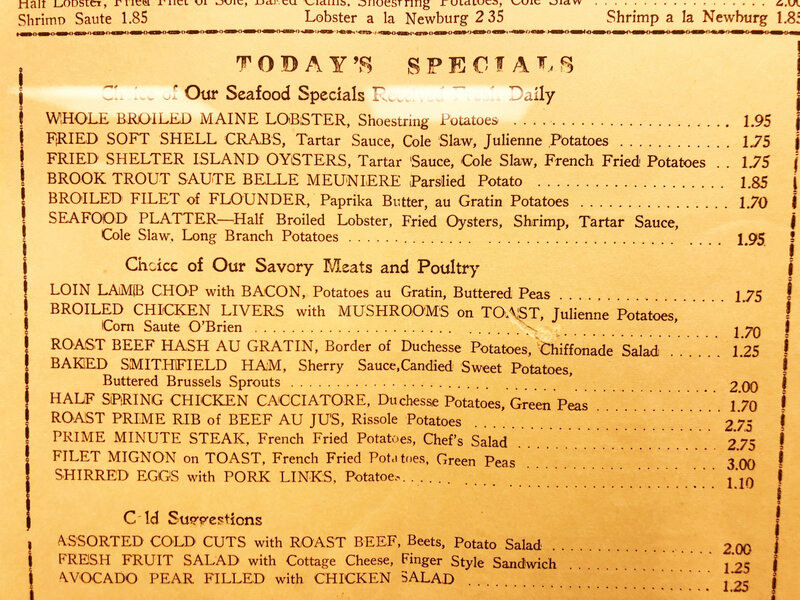 On it is a whole broiled Maine lobster for $1.25, a half spring chicken cacciatore with duchess potatoes and green peas for $1.70, and a slice of apple pie for 25 cents. 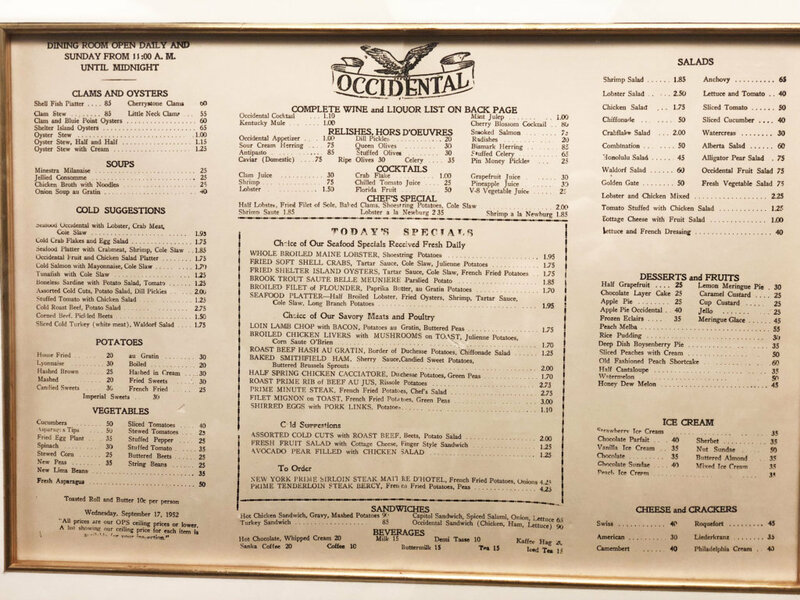 Occidental — which has served presidents, artists, actors and authors for more than 100 years since it opened in 1906 — has several menus like this. And recently, Addeo has been dusting them off and recreating, or reinventing, its dishes from the past. “Everybody in D.C. is modernizing; everything’s the new way, new this, new restaurant. Nobody’s appreciating the old,” Addeo said. 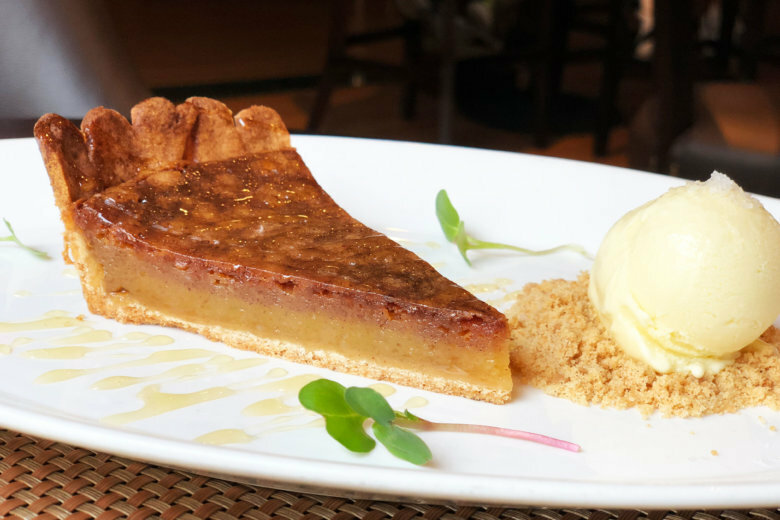 Those who crave something sweet after dinner can choose from familiar confections on Occidental’s dessert menu, such as crème brûlée and sorbet. But diners will also find a Depression-era vinegar pie, which calls for basic pantry staples such as vanilla, eggs and butter, instead of expensive chocolate and produce. 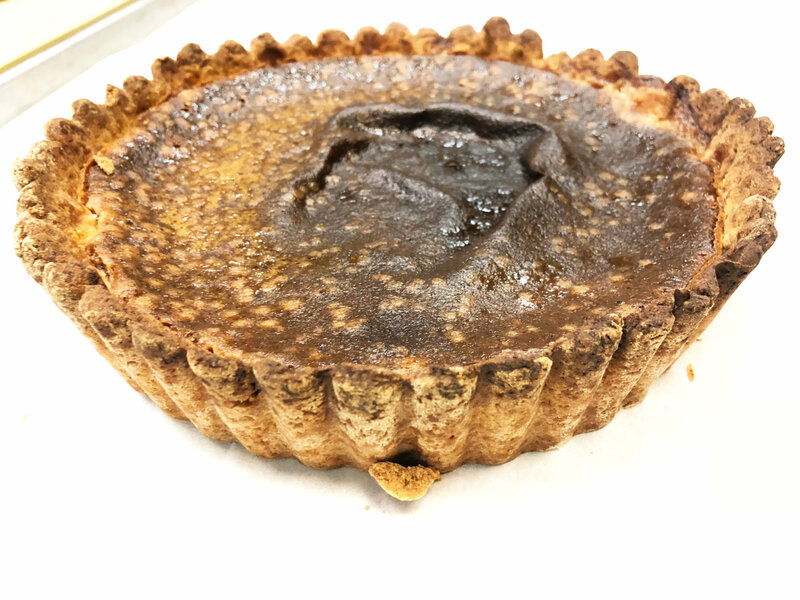 The name may cause some to balk, but Addeo said the taste and texture of the custard pie is pretty similar to that of key lime pie. The difference is the acid in the dessert comes from apple cider vinegar, not limes. Addeo is also experimenting with a whole chicken, which would sell for around $2 in the 1930s and ‘40s. Only this time around, he’s deboning the bird, rolling it up and crisping it in a cast iron skillet. A whole fish stuffed with crab meat is also a nod to menus of yesteryear. The restaurant, which is adjacent to the Willard Hotel, has an impressive amount of storage space, Addeo said. So diners can expect even more historic menu items to resurface in the upcoming months. “This restaurant’s been here for so long, we’re not going to forget about what it was and what it can be,” Addeo said.